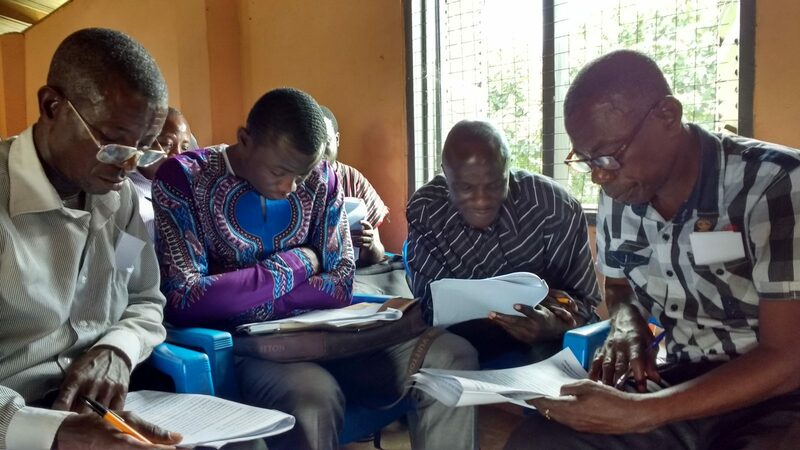 Ashanti Development always asks village sponsors first to give sanitation and training in health and hygiene, but it’s by no means all the villages need. Below are some some of the options sponsors sometimes add on. If you scroll down, you'll find a map of where we've done them. Whether our activities are run directly by our management team or by other volunteers, many of us would welcome a hand – even more so if you’ve got relevant skills. 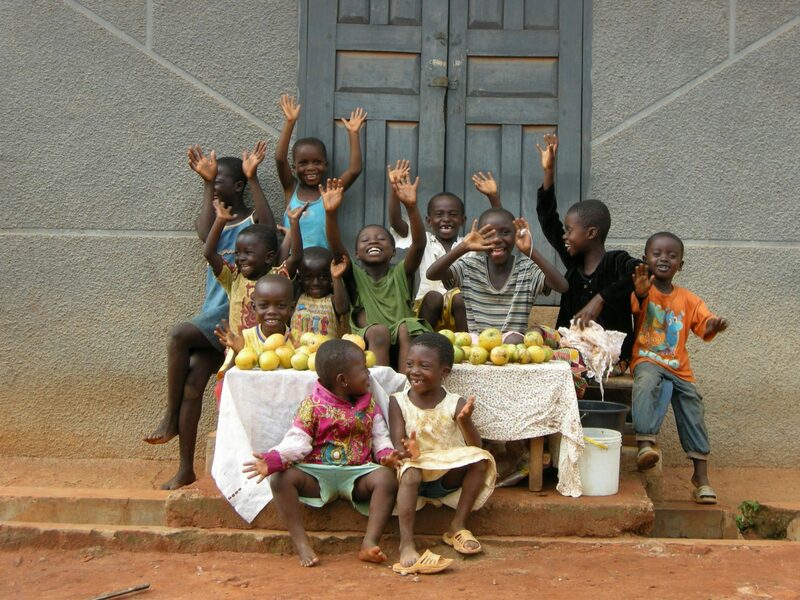 If you’re interested in volunteering in Ghana, contact us to talk it over. And even if your skills don’t seem particularly relevant, contact us just the same. We’ve got all sorts of jobs that need doing. 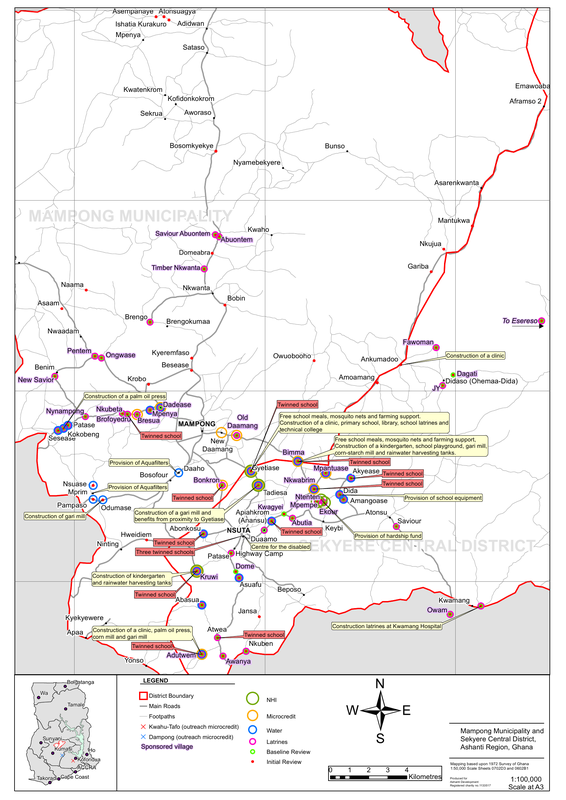 Some villages already have clean water, but in others water provision may be difficult. 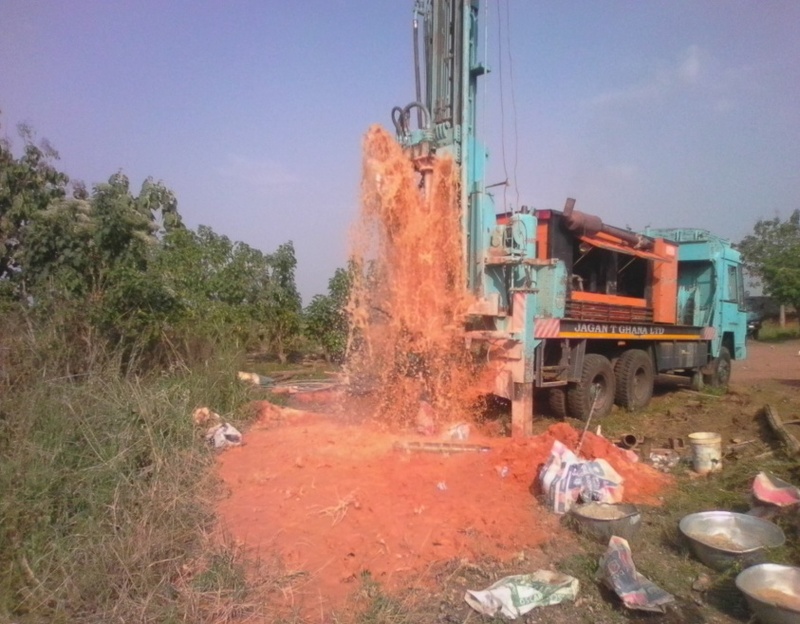 In many areas, borehole drilling has scant chance of success, and piping water from the nearest town is very expensive. 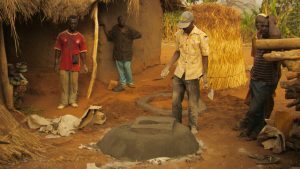 Hand-dug wells sometimes work, and spring protection can help, but everything depends on the village’s location. When all else fails we turn to the SafeWaterTrust’s water filter, which we have yet to finish trialling though the signs are good. 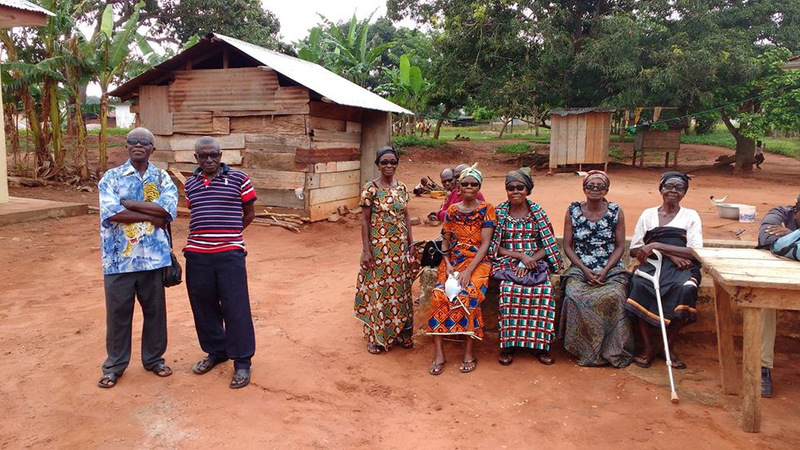 We have funded local people to build their own household latrines in 53 villages. At the same time, we trained the 30,000 people who use them in hygiene training. 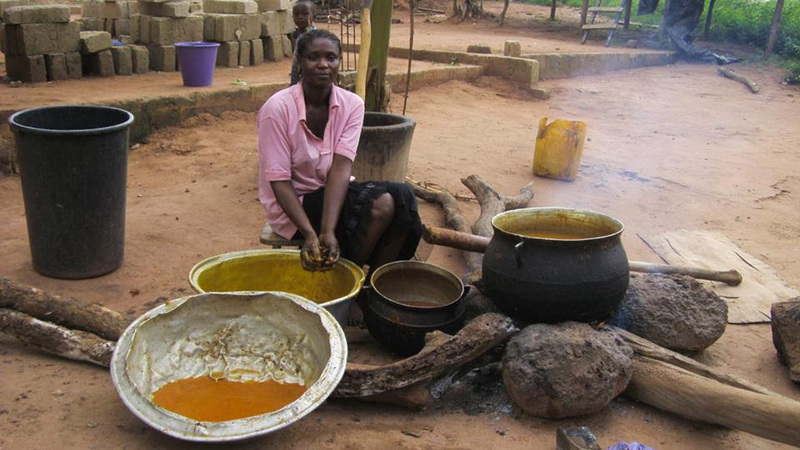 We train women in numeracy and business and then give them a series of small loans for trading purposes. The scheme is wildly popular and almost all the women pay back their loans to time and with interest. 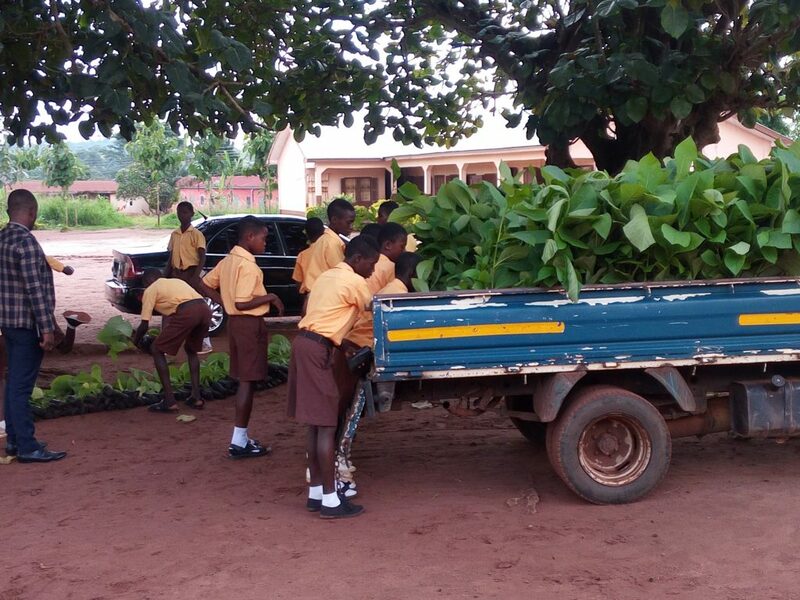 We train school children to plant and look after trees – mainly teak, because teak regenerates even after burning down. Village schools can then harvest the trees when they need income. 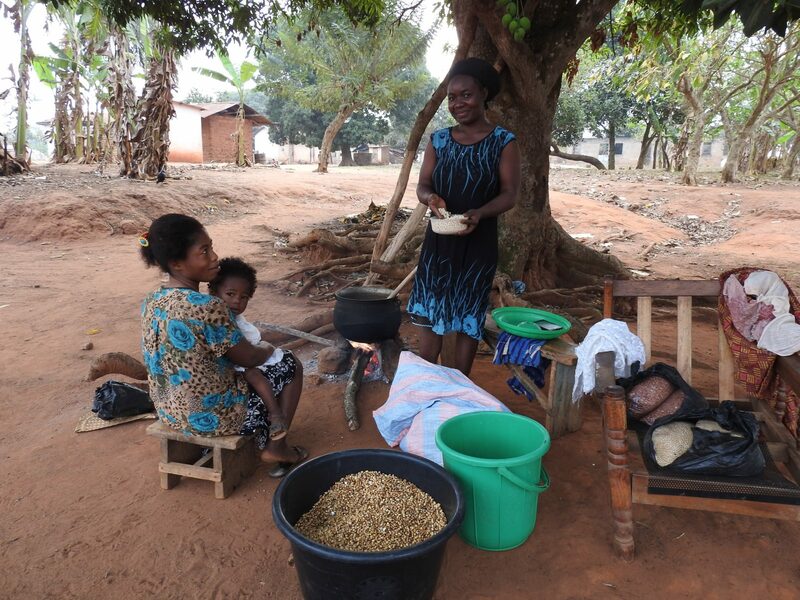 We provide Weanimix – a mixture of ground corn, maize and peanuts which must be mixed with water or palm oil – for malnourished babies in all our villages at no cost to the sponsors. We started giving toddlers free school dinners, but they failed to gain weight. 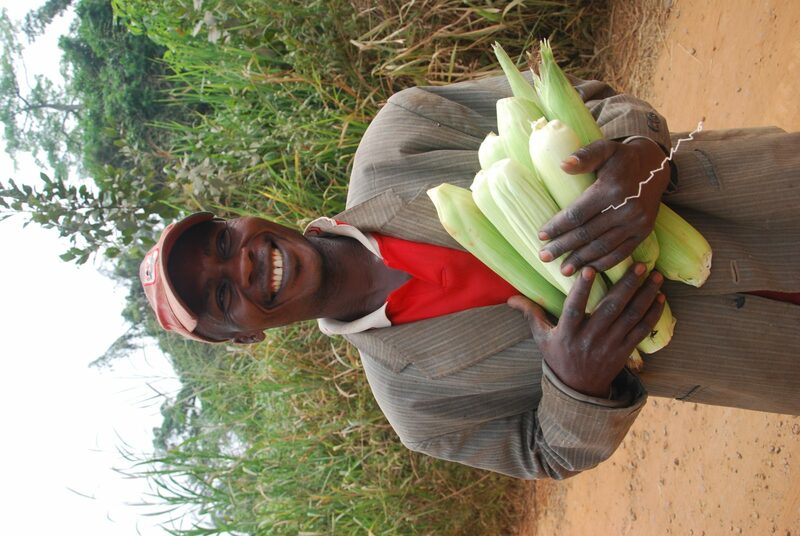 On enquiring, we realised that their mothers saved the family food for the older children who weren’t fed at school. Now we give the toddlers free school breakfasts as well. 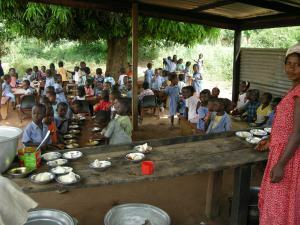 This isn’t necessary for all the villages, as the local authority feed school children in some. Back in 2010, we asked our teacher-trainer to find a way of improving school performance across a wide area, perhaps a whole District or more. And we asked that the outcome should be capable of being implemented could easily and economically, so it could be replicated without problems. We know that exam results only tell part of the story, but are nonetheless proud of the outcome. In 2011, before he started work, our benchmark group scored average results of 32 per cent. This figure rose steadily year on year, until in 2016 the results were 89 per cent – second highest in the Ashanti Region. He values the help of experienced teaching volunteers. 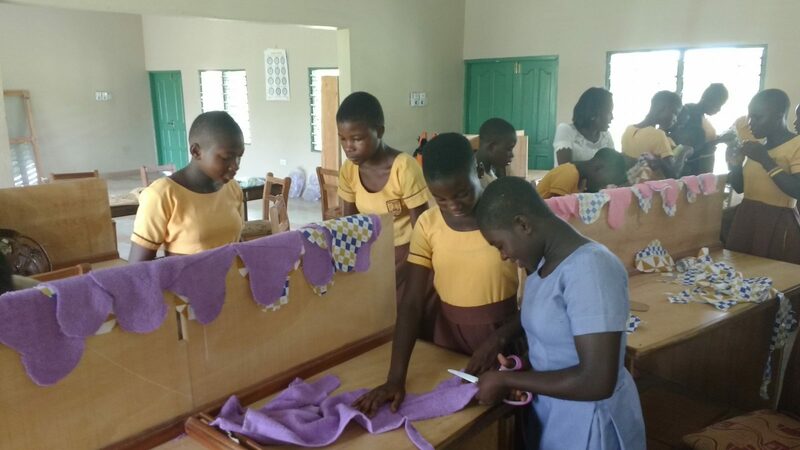 We teach girls how to make re-useable sanitary towels, so they can stay at school when their periods start. Meanwhile, we give the boys empathy classes. 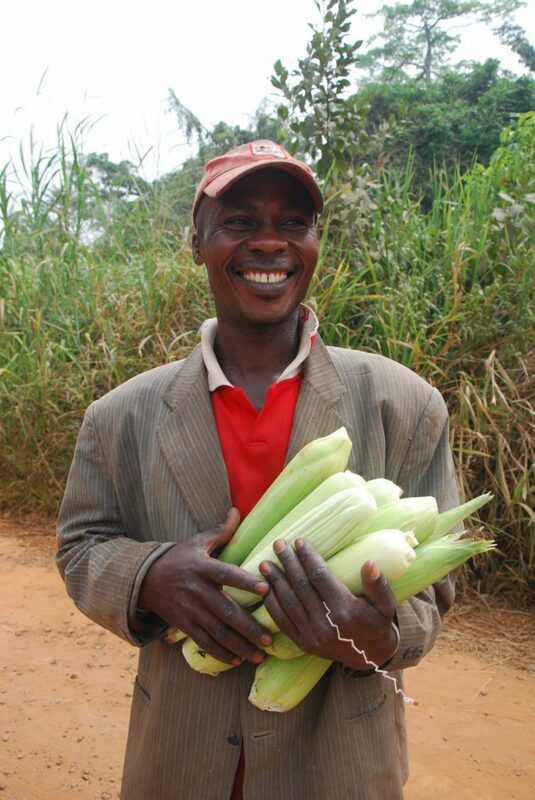 We organise agricultural training and provide farmers with small loans for tools, tuber/seeds, fertilisers, and wellington boots (against snakes). After training, yields typically become three or four times larger. 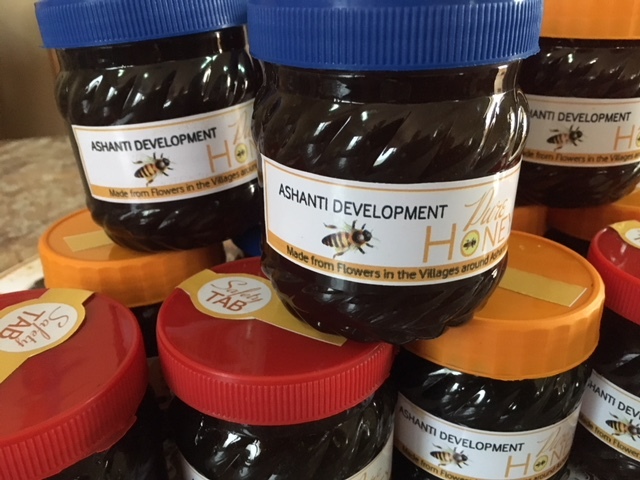 Our volunteers have trained villagers to look after hives without killing the bees when they harvest the honey, which is the common practice in Ashanti. Now they sell honey in local markets. 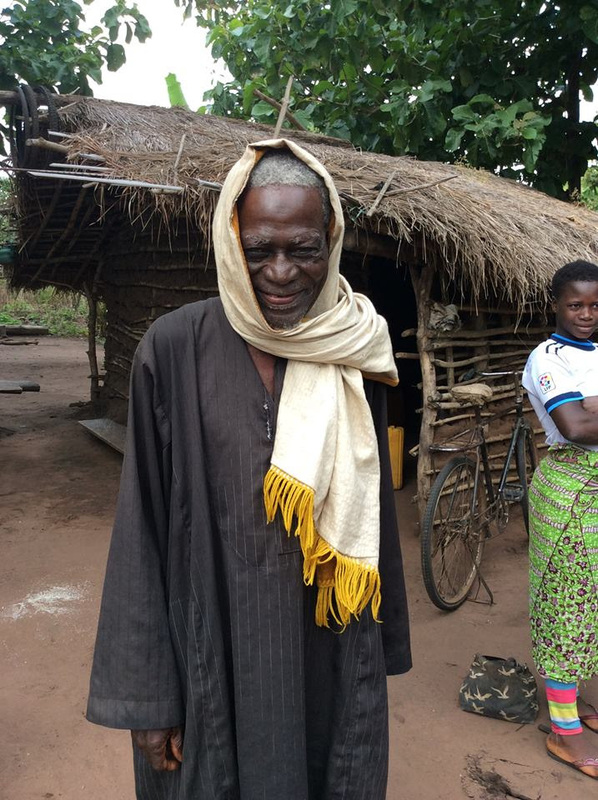 People with medical skills can help to-up the training of our network of village health workers, or fund-raise to give them for essential equipment like thermometers and baby-weighing scales. Alternatively, they can work in one of the three clinics we’ve built. Our eye clinic at Gyetiase has all the equipment you’d find in a UK optician’s shop and has distributed about 8,500 secondhand prescription spectacles. We can also arrange for eye screening or for cataract operations to be performed by Ghanaian surgeons. 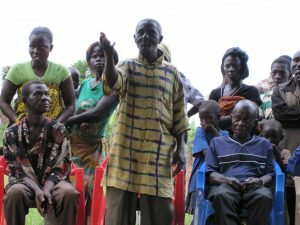 When we work in a village, we always try to strengthen their institutions - the Committee of Chief and Elders, for example, and the democratically-elected Unit Committee - to the point where they can maintain the improvements independently. This distributes small sums of money each month to the elderly and disabled. For some, it makes the difference between life and death. 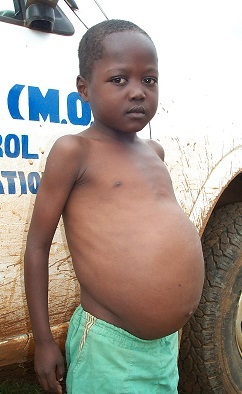 One of our volunteers collects money to treat around 1,500 children every year for worms. We run a school twinning programme between ten Ashanti and ten UK schools. We build kindergartens, schools, IT rooms and libraries and the local people always do the unskilled work free of charge, as their contribution. This also gives them the chance to acquire basic skills like carpentry and masonry. 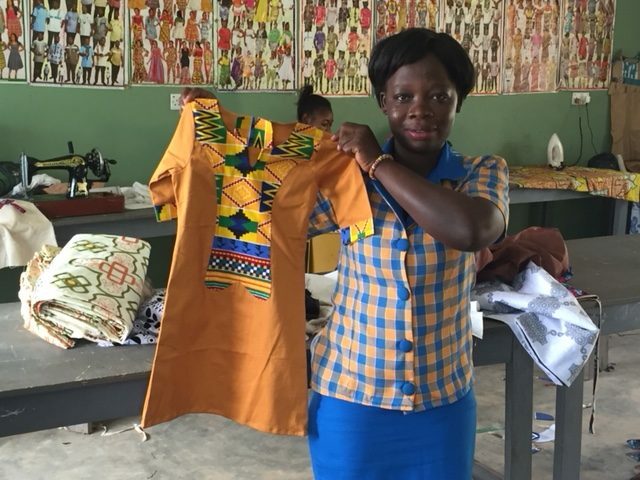 We have built a dress-making school. We monitor all of our work for five years and less regularly thereafter.